Setting up my studio and shop space is a lot more work then I thought! It is like furnishing and decorating an entire house. I am trying to work in it before it is all set up, so I can get an idea of what works and what doesn't before I make my final decisions of placing and spacing. Being indecisive is definitely a disadvantage to me right now, I have done the same thing at home for years - I am always so afraid to put a nail in the wall, it feels so permanent. That is silly though, it's nothing a little putty and paint can't fix! Here are some of the latest things I have acquired for the shop and I am pretty excited about them! Console table, made to look vintage from Homegoods. I love this because it is super light so I can transport it to shows with me. Large industrial metal shelving unit, maybe from a locker room originally. I bought this at a local antique store. 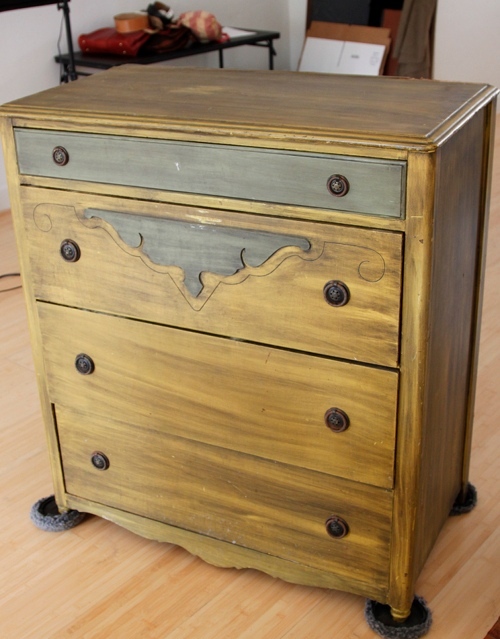 Fabulous antique dresser in the best color combo! Bought at the flea market in the rain last weekend. I have it on fuzzy feet so I can move it around and see where it looks best. 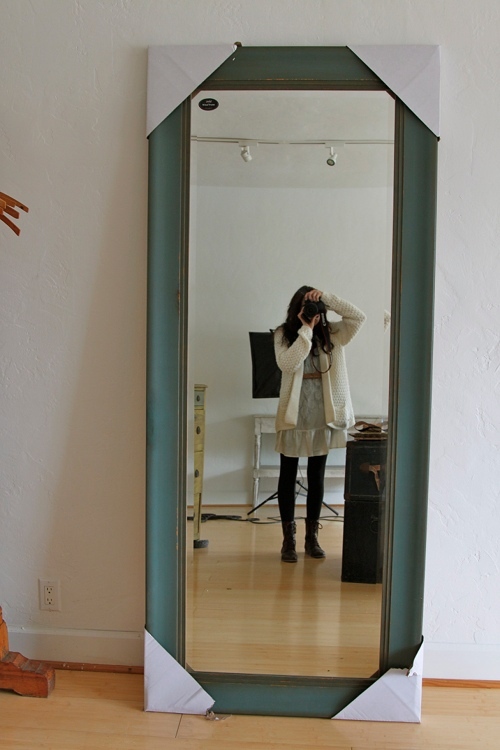 Extra large mirror purchased at Homegoods, if you haven't been there it's great! It's discounted "home goods" from other stores, like a TJMaxx for the home. 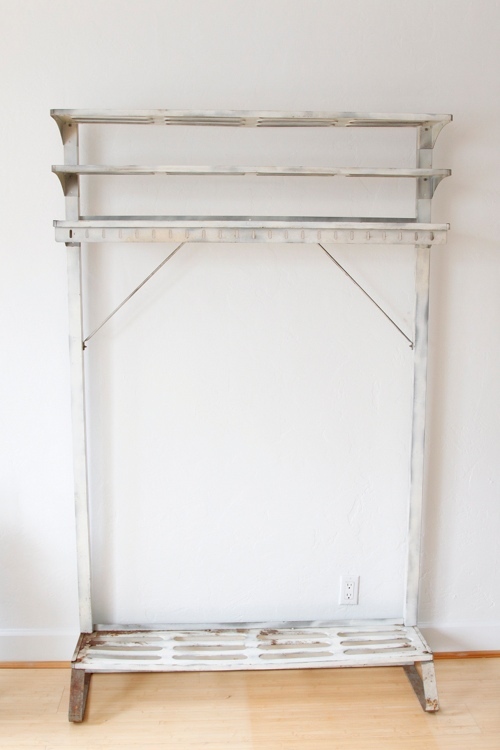 I could not believe that this antique garment rack wasn't sold when I found it at the flea market at 2pm!!! I cannot tell you how many garment racks I have seen after they just sold, I guess the rain was on my side that day. Also this comes apart for travel! 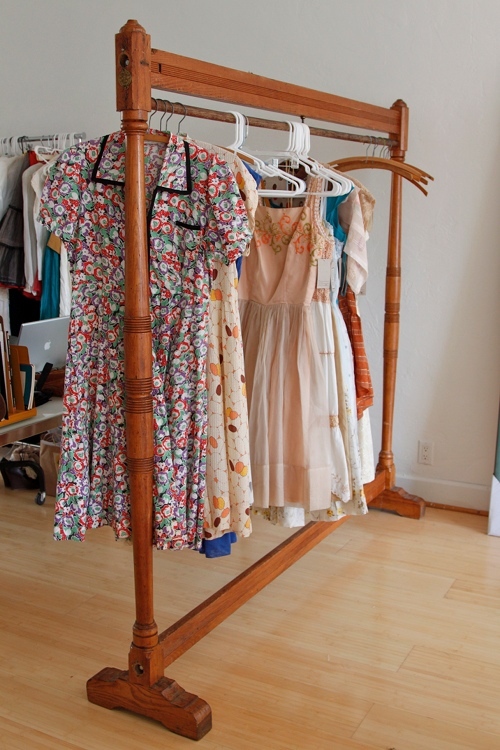 I love that dresser and garment rack!!! What steals!! :) and soo pretty!